Sharon L. McKnight, CCP, SPHR draws from more than 20 years of management experience, including 6 years as a director of human resources, to develop compensation administration tools and write about compensation issues. Her experience in both operational and HR management provides her with a practical approach to providing online resources that address the challenges facing compensation and human resource professionals. She is co-author of Mastering HR: Onboarding and served as editor for Compensation 101: Introduction to Compensation and Benefits and for How to create Job Descriptions: Maintain Compliance and Help Employees Excel. She achieved certification as a Senior Professional in Human Resources (SPHR) by the Human Resources Certification Institute in 2007 and as a Certified Compensation Professional (CCP) by the WorldatWork Society of Certified Professionals in 2014. She attended Middle Tennessee State University and is a member of the Society for Human Resource Management, the Middle Tennessee Chapter of SHRM, and WorldatWork. Jennifer Carsen, JD, is a Legal Editor for BLR’s human resources and employment law publications, focusing on benefits compliance. In the past, she served as the managing editor of California Employer Resources (CER), BLR’s California-specific division, overseeing the content of CER’s print and online publications and coordinating live events and webinars for both BLR and CER. 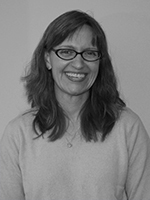 Before joining CER in 2005, Ms. Carsen was a Legal Editor at CCH, Inc. and practiced in the Labor & Employment Department at Sidley & Austin, LLP in Chicago. She received her law degree from the New York University School of Law and her B.A. from Williams College. She is licensed to practice law in New Hampshire.